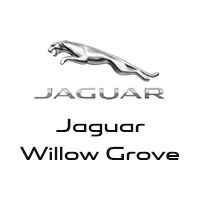 Mainline drivers looking for a new Jaguar XJ for sale need look no further than Jaguar Willow Grove. With its powerful performance and full suite of luxury features, this luxury Jaguar sedan is a supercharged car. Explore our 3 new Jaguar XJ for sale here in Willow Grove. When you’re ready, calculate your estimated monthly loan payments and apply for financing online. Looking for a better deal? Trade in your old vehicle. But beyond this easy-to-navigate car leasing or car buying experience, we pride ourselves on our Willow Grove community know-how. Here, you can learn about the best sushi in Irvine – and even where to whale watch! If you have any questions, or if you’d like to take a test drive in one of our 3 new Jaguar XJ for sale, simply contact us today.